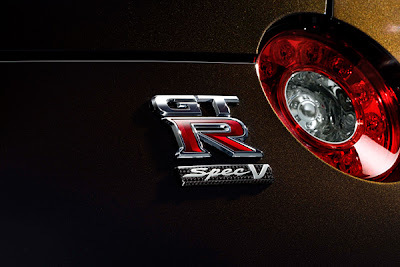 The Spec V. Nissans special edition of the Nissan GT-R. A few published changes,and a few unpublished ones, versus the standard Nissan GT-R. Carbon Ceramic brakes, carbon fiber seats, carbon fiber trim. Unique wheels. Overboost. 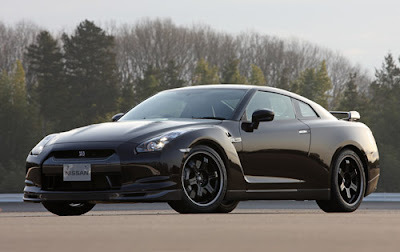 Nissan rates the car as the same horsepower as regular R35 GT-R, just more torque during the overboost situation, but the Spec V has larger turbos, not like the previous generation cars in where the VSpecs had the same engine specs, but improvements in the suspension,and driveline depending on which generation. Fourty cars are to be sold in Europe at a price of 124,000 pounds($201,000 USD).